Spaghetti Eddie Radatz sets the table. Here’s a chance to meet Chris Anderson, the Birdman of the Denver Nuggets, at the grand opening of Max Muscle in Lone Tree on August 1, 2009. 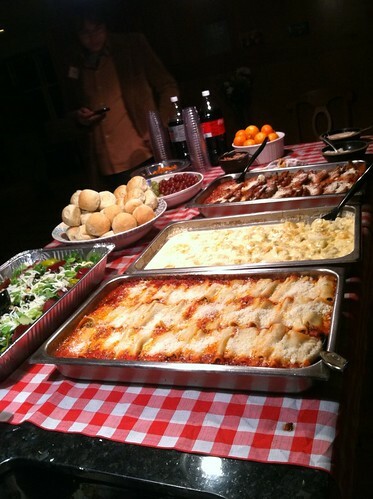 Food will be provided by Pasta Jay’s. 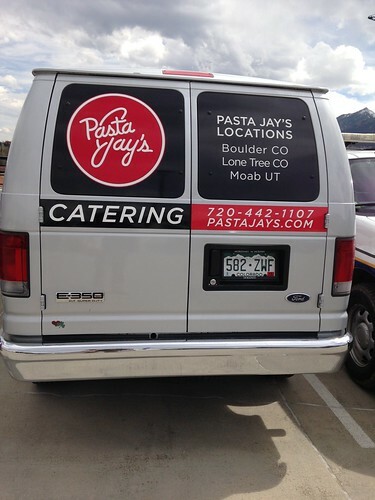 Pasta Jay’s will cater for Jeremy B loom’s ‘2009 Youth Football Festival on Saturday July 11th, 2009, in Loveland, Colorado. NOTE: The High School Camp is done in a 7 on 7 team format. In order to participate in the High School Camp, you will need to get six friends to complete your team. You can fill their names in below on the form. 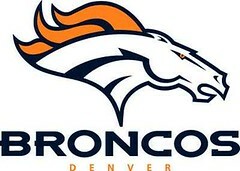 3500 Mountain Lion Dr Loveland, CO 80537- off HWY 34 and S Boyd Lake Dr. REGISTRATION FEE: It’s FREE! Just fill in the form below to register. My name is Jeremy Bloom and I am the Founder of Jeremy Bloom’s Wish of a Lifetime Foundation (JBWL). For many years I have wanted to start a foundation that would change the lives of others forever. I wanted this foundation to be known for its purpose and impact on others. It was with tremendous honor to name my foundation after my own eighty three year old inspirational grandmother. JBWL Foundation is built on the premise that senior citizens should be respected, honored and aided in our society. They have given a lifetime of service, wisdom and most of all love to their community and families. It’s not hard to see the challenges that seniors face on a daily basis. This Foundation will make lifelong dreams come true to seniors. I believe many people regrettably move on from this world with unfilled dreams. I have been very fortunate in my own life to have had the ability and the resources to chase every dream that I have ever imagined and I am delighted to start a foundation that will help others do the same. I would like to invite each and every one of you to join us in our efforts. Become a corporate sponsor, individual donor or a volunteer. With your help, we can have a profound impact on many well deserving lives. 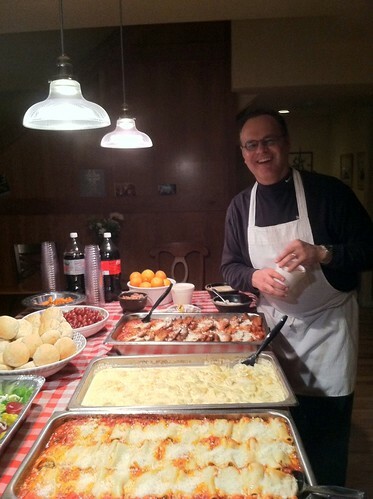 On June 29, 2009, Pasta Jay’s will cater the Buffs4Life Foundation’s Celebrity Golf Tournament at the Omni Interlocken. In 2005, a group of former Buffs, who were an integral part of the turnaround in CU’s football fortunes in the mid 1980’s, became aware that one of their teammates, Anthony Weatherspoon (Spoon), had been diagnosed with leukemia. His prognosis was bleak and the gravity of the illness hit his family hard in many aspects, including financially. As the burden of medical costs overwhelmed his family, his friends and teammates wanted to help. 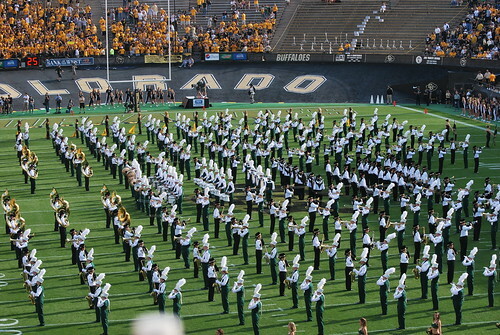 The idea of establishing an organization predicated on Buffs helping Buffs in need was born. Spoon’s reputation as being a hardnosed and powerful fullback is synonymous with CU’s return to greatness, but his influence off the field is his greatest legacy. Even though Spoon lost his battle to leukemia later that year, his spirit lives on in the CU Football family. The Buffs4Life Foundation is ready to help those who have worn the Black in Gold in times of need. Buffs4Life means just that. You are a Buff for life and not just for the four years you wore the uniform. It is a great honor for all our board members and for those who participate in our cause to be a part of something that brings our community, the University of Colorado, and the Buff family closer together. We will continue to support and honor Spoon’s family each year and reach out to other Buffs in their time of need. We will be committed to supporting them shoulder to shoulder through their struggles. Buffs4Life is also dedicated to extending our support to the community by supporting children as part of the Denver Safe House program and giving back to the CU athletic department to support current CU student athletes, especially the football program. Pasta Jays invites you to the 4th Annual Gary Barnett Foundation Celebrity Golf Classic this weekend, June 13th and 14th, at Legacy Ridge Golf Course. 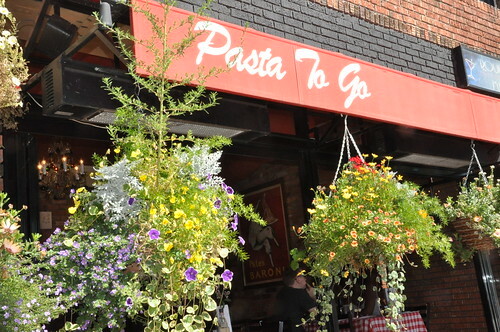 Pasta Jay’s is catering for this good cause (so you know the food will be good!). There will be a Silent Auction, which will include original artwork by Coach Barnett. Celebrities will be auctioned off to play in foursomes in tournament.